Posted on January 22, 2019 . 24 Comments. How do you go from pressing 28kg to 48kg? At under 80kg bodyweight? With a technique-solidifying, base-building, high-volume press plan followed by a strategic peaking effort. But to develop a successful strength program, you need to understand programming fundamentals and your individual training parameters. Here’s how StrongFirst Team Leader Myren Fu got there. “A press is not just a press,” said Senior SFG Tim Almond during my first SFG instructor certification almost four years ago. I was single-arm pressing 28kg and was fascinated by the heavier weights he and Master Shaun Cairns casually put overhead. But I did not immediately get what he was trying to say. I took years to truly understand and appreciate what he meant. Since then, I’ve become obsessed with the science and art of programming for strength. I research, write countless programs, and conduct experiments on myself and willing students—that’s not as sinister as it sounds. Each time, I take the lessons learned and work them into the next plan, progressively learning along the way. But despite all this testing, one goal continued to vex me: figuring out how to emulate those crazy-strong SFG instructors who press “the beast”—a single 48kg kettlebell. If there is one thing for you take away from this article, it is the importance of knowing your individual training parameters for both accumulation and intensification phases. Accumulation is all about getting the reps in—it’s a high volume phase where you accumulate many reps of lower intensity work. It’s important to build connective tissues, increase strength potential, and allows for more practice to happen sub-maximally. Intensification is about high intensity. In this article’s context, it’s a peaking strategy. 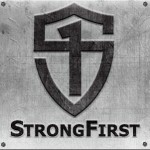 I thank many people for helping me advance my thinking here, most notably Dr. Mike Isratael and his crew, Dr. Chris Beardsley and his team, the late Charles Poliquin, and the many intelligent and selfless people at StrongFirst. Before going boldly forth into the intensification process, doing a few accumulations phases helps to solidify technique and hypertrophy muscle groups, so you have greater strength potential for the task at hand: defeating the beast! If you are new to kettlebell training, I suggest you pick up the book Enter the Kettlebell by StrongFirst Chairman, Pavel Tsatsouline. The programming is rock solid—you can’t help but get stronger by incorporating his suggestions. One of his most valuable lessons is on how to wave the load to ramp-up volume without causing excessive peripheral fatigue—a common occurrence with traditional periodization. Although the total volume is the same, you can use a heavier kettlebell with the repetition ladder. Waving the training load ensures that high threshold muscle fibers are always activated without the build-up of metabolites. Hypertrophy without soreness lets you train more often with a high force output per session. Win, win. If you have been training with kettlebells for years and are at an advanced level of strength and/or are near achieving your half-bodyweight press, you must factor in that with a higher training “age,” your maximum recoverable volume is typically lower than for beginner or intermediate lifters. Doing the above wave increases your injury risk and could bring on a plateau—both counterproductive. We have students who have plateaued from too much volume from which they cannot recover. SFG Joey Yang (who also has a great article on how he tamed the Beast), shared with me that many seasoned SFGs run into trouble with higher training loads—doing many high-rung ladders with 36kg bells—and end up injuring themselves. The key is knowing how much is just enough—for you. Why is it so difficult for an advanced lifter to complete a full five-rung ladder compared to an intermediate lifter? The difference is in the kettlebell weight each can handle and the ladder’s cumulative load. This advanced volume is huge. Looking at all the plans, I noticed that for someone nearly at or slightly above their half-bodyweight press—assuming he or she is below 180lbs (~82kg) bodyweight and can successfully press a 40 or 44kg—their average load for the highest volume session ranged between 1,100 and 1,500kg per hand. One way to counter the demands of such high-volume programming is to reduce the rungs—rather than do ladders of 1,2,3,4,5 reps, switch to ladders of 1,3 reps for example. The volume per ladder goes from 15 reps per hand to 4. Why reduce the number of rungs and total volume? Because advanced lifters have a higher minimal effective volume that ensures continued progress compared to a person with a lower training age (intermediate). The advanced lifter’s total volume is already higher than that of the intermediate athlete. Although it required ten fewer repetitions, the minimal effective dose was higher and achieved by the sheer load. From the above example, even on the week of the highest accumulated volume, the advanced student’s total volume is less than that of an intermediate trainee. Once completed, I set a new 4-5RM of 38kg. I gained 4.4lbs of lean mass in the process, taking me to 169lbs (~76.7kg). I rinsed and repeated this program for one more cycle. After the 10-week process, I could press the 44kg cold. After 10 weeks of volume accumulation, I was ready to intensify. To kill two birds with one stone—continue my strength gains without compromising the muscle mass gained—I adapted my routine from one of the greatest pressers of all time, Doug Hepburn. The six-week cycle brought my press up from a 44kg to 48kg. I put on another 4.4lbs and was now at 174lbs (~79kg). My primary exercise remained the one-arm military press to practice the groove at high intensity. My secondary exercise was anything with an axial force vector. Since the military press is already an axial force vector exercise, I had to choose a similar pathway: the incline bench press for two days per week and the barbell press once a week. Rinse and repeat for one more cycle—adding 2kg to my primary press and 5kg to my secondary exercise. You may have noticed my program featured important StrongFirst principles: continuity of the training process, load waviness, and specialized variety. I tested on week 7. Voila! 48kg unlocked. My total weekly volume on the highest week amounted to 2,950kg. Many of the beast tamers programs I studied pressed between 3,000kg and 3,600kg. Although my volume was much lower, it worked for me. Higher volume programs made me constantly ill—quite possibly due to me exceeding my maximum recoverable volume. It’s critical for you to understand what works for you—and what doesn’t. Do not blindly follow any plan. Pay close attention to your recovery. If you see a performance decrease after three sessions of trying, back off. You most probably exceeded your maximum recoverable volume. Intermediate athletes have a higher recovery rate and can take in more volume than advanced trainees. Accumulation is important to build connective tissues, increase strength potential, and allows for more practice to happen sub-maximally. For accumulation phases, one sign to stop is when you cannot continue with your benchmark weights. For intensification phases, one sign to discontinue is when your lifts’ intensity stops inching up. It is fine to train for maximal strength and hypertrophy, or at least the maintenance of it, as long as the variance does not exceed 12%. To lift heavy, spend most your training time in 75-85% of your 1RM region. But it is imperative to peak—what you train in the 90% and above is different from anything below. Do not let your past define who you are. If you are bad at something, let it haunt you every day so you can attack it relentlessly. 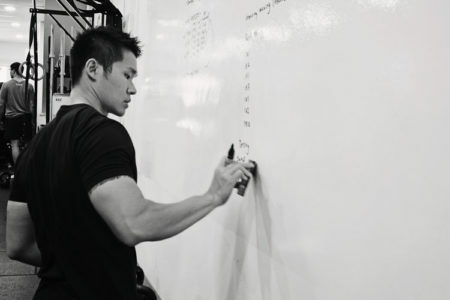 Myren is a StrongFirst Team Leader, Director and Head Coach of G1RYA, a Strength and Performance facility—the first and only StrongFirst certified gym in Singapore focusing on kettlebell, barbell, and bodyweight strength training. Myren has been prepared under the worlds best in the industry, in a variety of performance and fitness education. 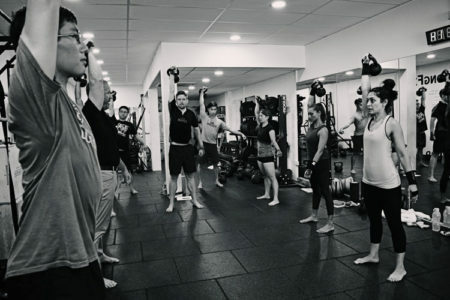 He established G1RYA, a go-to facility, for helping youth athletes, gym owners, personal trainers, even regional and Olympic ranks improve their technique and achieve their highest levels of performance and fitness goals. I’ve been wondering if I can use this program to promote my bench press strength? And the second question, do we need accessory movements or secondary exercises during the accumulation? Looking foward to your answers, thanks a lot. Yes to an extent this can be used to improve the Bench as what I have tested out with clients. With that being said, there are many factors that play in the bench that does not in the press. Such as external rotators strength, lats development and triceps development. I am doing some preliminary test with some members to see if certain accessories will help the bench even more and I will wrote articles as soon as I have found some data from the test I conduct. You do not need to as the volume itself is sufficient. That being said, I owe the mass I gained from the pull ups and squats that I was doing too. This article is pure gold! Thank you! Congrats, however one maybe basic question I would like to ask. How long where your pauses between Reps and between Sets? As Pavel says, as long as you need. For my singles, I rested up to 3 mins. For my triples leading up to 5’s, I rested 2-3mins. I found anything above 5 to down regulate the CNS. Myren, what explains the mass gain? 8.8 lbs is very good, but it seems unlikely that this would result from pressing alone, especially over such a short time frame, especially in somebody already strong. Also, if you attribute any of the mass gain to something other than the pressing, how much do you think the mass gain contributed to the results. Impressive results, thank you for sharing so many details. I attribute the mass gains to 2 things. 1) the volume of pressing as well as pull ups and the pistols that I was doing. Prior to this, I have never done this amount of volume of work. 2) food and creatine. I was eating a lot more to support my presses and I took 5g of creatine mono to support the program. Very interesting article, thanks a lot! I’m trying to re-calculate all this to my 28-30kg 4-5RM. 28kg I’ve used in the past for full 5-rank ladders and felt it was too high volume at the end of the cycle. Or did you find the (1,3) vs (2,2) to be essential difference for programming? If the latter, then why didn’t you rather use, say, 6x(1,2,3)=36 that has the same volume as 9x(1,3)=36? Any specific reason? This is an interesting question and a very intelligent one. I love it. Yes and no. Although the volume is essentially the same, the amount of times (sets) you have to clean and re press it needs even more activation of the nervous system. From both empirical data and science, anything past 15 sets will be an overkill for the CNS as well as boredom. I did try 1,2,3 but I found 2 leading to 3 to be tiring due to the short rest and I wanted to stay as fresh as possible. Therefore I found the best in-between in doing as little sets and being as fresh as I can is 1,3 or 2,2 if you want. As someone looking to up my press this defiantly looks good! Thanks Maine for the kind words! Great article and great achievement. This is a great article Mr. Fu. Thank you very much for sharing your experience and your expertise. This is something I will certainly come back to and play with. You are most welcome Matt! Congratulations for pressing the beast and thank you for this very interesting article, which surely will help me on my way to the 32 kg kettlebell MP this year! You are most welcome Thomas. Enjoy the journey and don’t rush it! @Myren Fu, I don’t know whether to be more impressed by your pressing strength or your ability to design such an effective program. You have proven yourself exceptional in both! Very well done, sir. Coming from you, it means alot Steve!